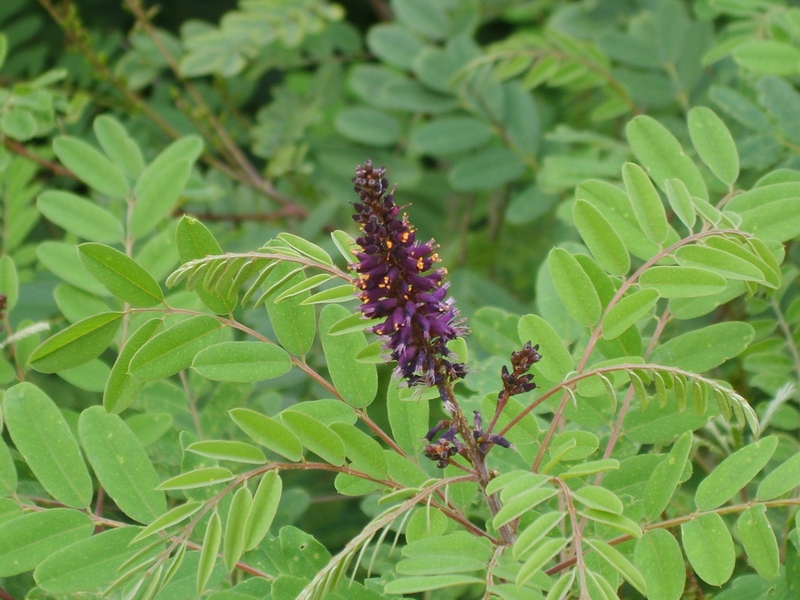 Amorpha fruticosa is a colonial shrub to 4 m tall, branching. Leaves alternate, pinnate, leaflets 4-10 (or more) pairs, oblong, to 4 cm, dull green, tip rounded, slightly hairy below, leaf stalk to 5 cm, leaflet stalks very short, hair. 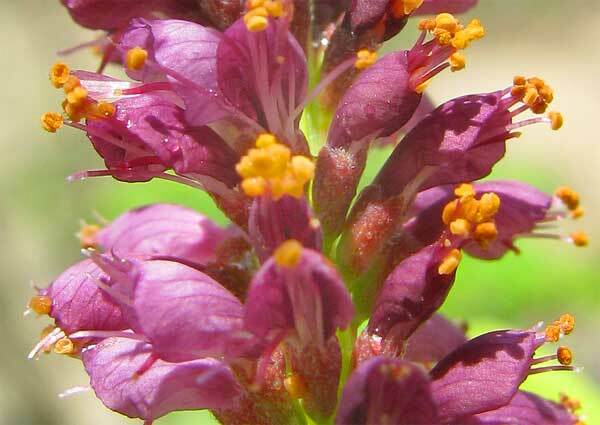 Amorpha fruticosa flowers. commons.wikimedia.org (Accessed 8/2017). Flowers purple, to 0.6 cm, one petal, folded, in narrow, unbranched, dense clusters 6-20 cm long, May-June. Fruit pods to 0.9 x 0.4 cm ripening Aug., 1-seeded, dispersed by animals. Origin: Native N. & W of NYC. Habitat: Moist to wet, open, disturbed, areas. Often near the shore.